In-House or Outsource IT ?? What’s the difference between Business and Personal Computers? 3. Internet Surfing / Social networking, etc. 4. More Recreation and Family use. Ideally you want both. But often vendors will cut corners with hardware, production and warranty by selling a lower end, cheaper consumer version (Personal Computer) Usually a Business Computer cost more and has most underling features that a home / consumer computer would have. So by buying a business computer you typically get the best of both. Q. What makes Business Computers more reliable? Better quality hardware. Better construction of parts and assembly. Usually business computers will have better warranties. The Typical Consumer computer will have a 1 year very limited warranty. This will entail out of country support and require you to ship off your machine for 1-3 weeks of repair. 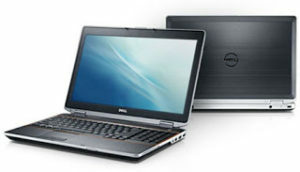 The Dell Business Machines (we configure) include a 3 Year Next Business Day Parts Replacement Warranty. If any part fails Dell will overnight us the part. They give that kind of product backing because they have made a better product and do not expect failure. This means less risk for the user and less risk for your company. In the consumer world, being without your personal computer is more of an inconvenience. In the Business World, being without your computer can mean serious loss of revenue. Business Computers costs more but are more reliable. Any prudent Business Exec would agree the extra few $$$, is well worth the reduced risk. When Should I Replace My Computer? © 2019 Compnology. All rights reserved.